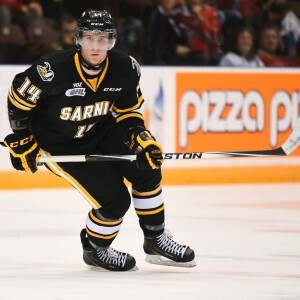 Each season the league is blessed by the presence of its future stars, and lately the Ontario Hockey League has been dishing out some incredible hockey talent. Last year alone, the OHL produced rookies such as Arizona’s Max Domi (London Knights), Oilers’ franchise centre Connor McDavid (Erie Otters), Blues top rookie Robby Fabbri (Guelph Storm) and many others. This coming season, we will see an entire new crop of OHL alumni that will begin their respective NHL careers. That being said, I would like to highlight a few former OHLers that could see time in the big leagues this season and predict what their first year will look like. It is no secret that the Coyotes will likely be dipping into their deep prospect pool this season. Arizona’s new general, John Chayka will face the tough task of making a difficult decision on the organization’s younger players. One of whom will be the 2015-16 London Knight’s leading scorer, Christian Dvorak. Dvorak had a spectacular third season with the Knights, that was capped off with a Memorial Cup Championship. Dvorak will likely be brought up by the Coyotes, barring a strong training camp. The young forward could see himself playing alongside former Knight, Max Domi. Predictably, Dvorak could see time with the Coyotes’ farm team in Tuscon. Time split between the NHL and AHL could be beneficial for one of the league’s future power forwards. It won’t be an easy task for the 20-year-old to produce big numbers on a team that is just discovering it’s new identity. The middle man of the OHL’s best offensive line could very well see himself donning the blue and white this season. 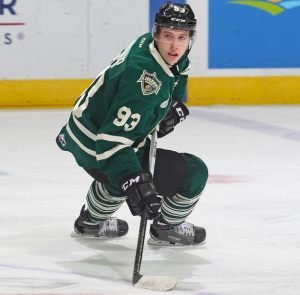 Mitch Marner is one of the league’s most talented prospects and his junior points prove it. Leafs head coach Mike Babcock, and other members of the Toronto organization have gone on record to say that regardless of his junior play, Marner is not a lock to be on the team to start the season – even though the rest of the hockey world believes he should be. 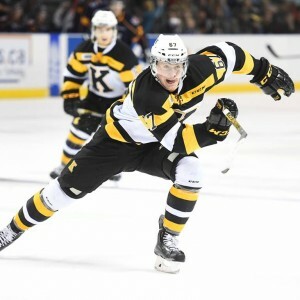 Marner’s 116 regular season points were impressive, but it’s what the 19-year-old was able to do in the OHL playoffs and the team’s Memorial Cup run that stood out most. On a team that has nothing to lose, and didn’t necessarily make any drastic moves at the forward position this offseason, Marner should be able to squeeze his way onto the team come October – and will likely compete for rookie of the year. Mitch Marner’s stats with the Knight’s over the last three seasons. Dylan Strome is probably the Coyotes’ prospect that has the greatest chance of making the team out of camp. The Coyotes have a glaring hole up the middle now that Antoine Vermette, Boyd Gordon and Kyle Chipchura have all found new homes. This couldn’t be a better time for the second Strome brother to push his way onto the Coyotes’ roster. Even without Connor McDavid, Dylan Strome was able to put up 111 points in just 56 games this season with the Otters. At 6’3″, 194 pounds he definitely has the size of an NHL-ready prospect and he will get a chance to prove to the organization that they were’t wrong when they selected him third overall just over a year ago. Strome will also be a strong contender for Rookie of the Year. Just take a look at some of the skill Strome posseses in this three and a half minute highlight package. Lawson Crouse couldn’t be in a better situation. The Florida Panthers are becoming one of the NHL’s scariest teams to play against for a couple of reasons, including size and offensive ability. At 6’4″ and well over 200 pounds and with the ability to put up good offensive numbers, Crouse is exactly what the Panthers club is all about. With the departure of Jiri Hudler, Teddy Purcell and Brandon Pirri, Crouse seems like he would be a more natural fit on the Cats’ third line. It’s hard to believe that Crouse is just 19-years-old, considering the type of game he plays is much like that of Milan Lucic. It’s possible Crouse will put up similar numbers to that of Lucic in his rookie season. Pavel Zacha. Although there will be alot of presure on Zacha to fill the Devils’ vacant third line centre spot, the 19-year-old Czech has dealt well with pressure in his career so far. Especially considering he was one of the last cuts at the Devils’ camp last season, and he was forced to go back to his junior team in Sarnia. Zacha has strong leadership abilities and a great two-way game that makes him a perfect fit for New Jersey’s defensive system. The Devils are still probably a year or two away from being a strong playoff contender, but that will give Zacha plenty of time to hone his craft at the NHL level.